I’m doing pretty well and am really happy these days. We had zone P-day today so it was good to see my friends from other areas in the zone. 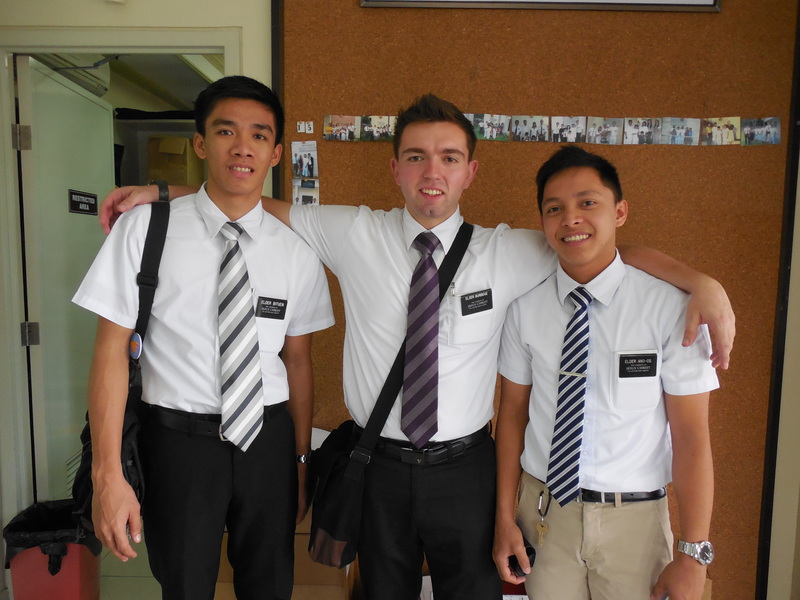 The missionaries that were transplanted to my mission from the Tacloban mission (when it was destroyed by Typhoon Hiyan about four months ago) have now been sent back to their mission so that leaves me in a “tri-panionship” with Elder Lyon, Elder Bituan (my trainee) and myself. I haven’t heard much about what kind of work they will be doing there but I would guess they are still going to be assisting with the work of re-building that area due to all the damage there. 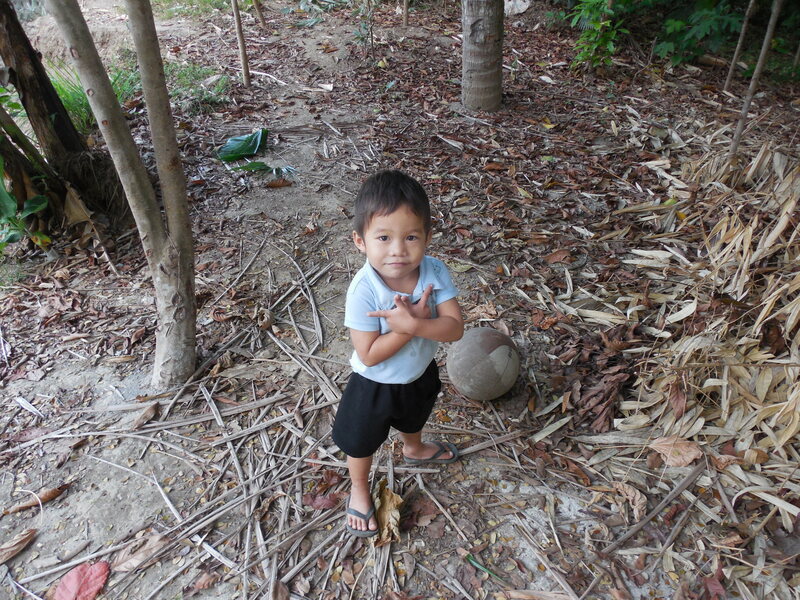 My little buddy named Owen! Hunter and I have been emailing pretty good. I would like to email chat with him but it isn’t really possible because we are on the computer at different times and it is hard to coordinate our schedules. He sounds really good though! He has such a funny sense of humor that I miss. I think that is why I get along with my new companion well because he does a lot of funny things like Hunter and I used to do. Three “generations” – Me, my trainer (Elder Ano-Os) and my trainee (Elder Bituen). I had a really cool experience this week teaching a couple who have one child already and another on the way. We taught them about temple marriage first, and the promised blessings of being sealed together as a family for time and all eternity. After we had taught all of the principles I still felt like I needed to say more. I was prompted to get the picture of Hunter out of my book of Mormon and explain to the couple who he is, what he is like, and the relationship that we share being brothers. I then explained that we are sealed together as a family with my parents. The only way that was able to happen was because they were baptized into this church and lived worthy of a temple recommend. The spirit was very powerful and I know everyone felt it. Well that’s about it for now! I hope everyone is doing well back home and please know that I keep you in my prayers always! Following are a couple more photos of me enjoying the missionary lifestyle! 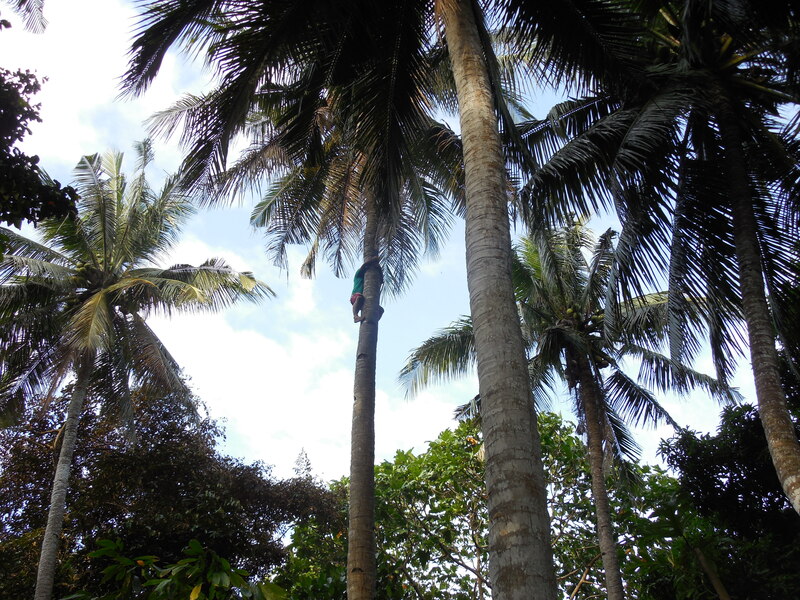 My Ward Mission leader climbing a palm tree.